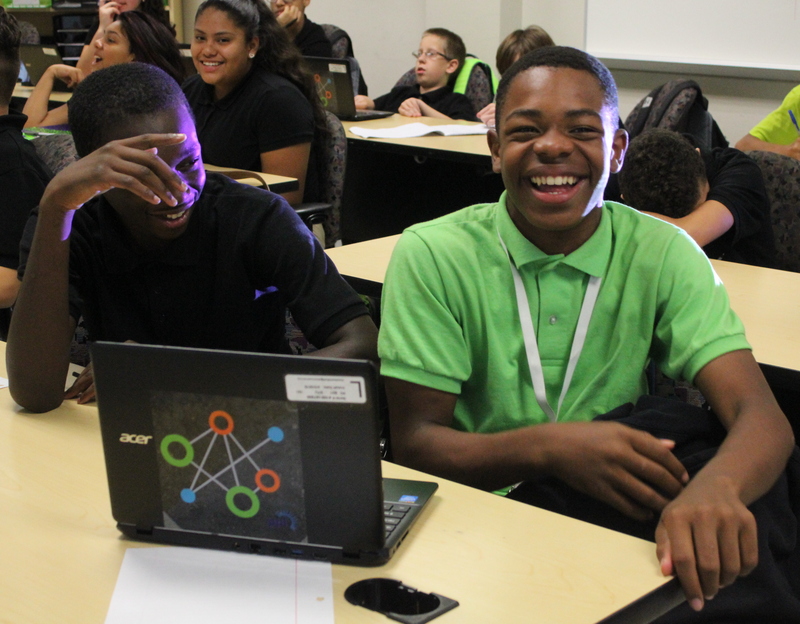 Building 21 Allentown, midway through its second year, currently serves 288 students across ninth and tenth grades. The high school’s students actively explore their interests and passions thanks to partnerships with local businesses and community organizations, including Lehigh Valley Health Network, Digital Feast, PPL, the Baum School of Art, Lehigh University and the local IBEW electrical union. The school continues to build on very strong academic gains achieved during last school year in reading and science, while actively working to increase gains in math. Students report feeling safe and connected to the adults at the school. Building 21 continues to see significantly higher average daily attendance and a dramatically lower rate of serious behavioral incidents relative to comparable schools. Students displayed their impressive work several times during the year through project exhibitions at the school, as well as out in the community. The Morning Call featured several scholars in an exclusive “Student Voice” section during the election. Budding authors also had an opportunity to show off their Spanish-language children’s literature at an event at Barnes & Noble.